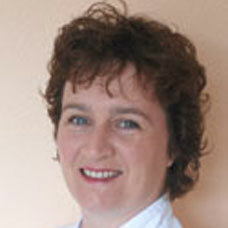 Donna trained in Sussex in 2002 and initially set up and ran a small clinic. However when Donna moved to Ipswich in 2005 she became a client of Woodbridge Complementary Health Centre and when her youngest daughter started school it seemed only natural to practice from the centre herself. Over the years her experience and knowledge has grown and she fully appreciates how the different therapies can support each other. It is important to her that she supports the whole person, therefore her therapies often merge to create a uniquely tailored treatment. In addition to working with men and women of all ages she has also had the pleasure of working with pregnancy, babies and children.